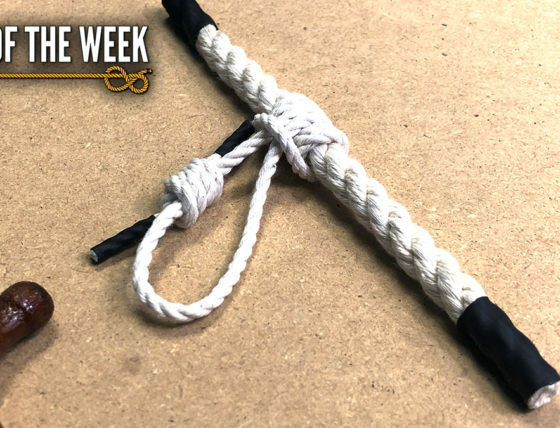 A couple of relatively easy knots to tie continue our Hitches in this week’s Knot of the Week series. 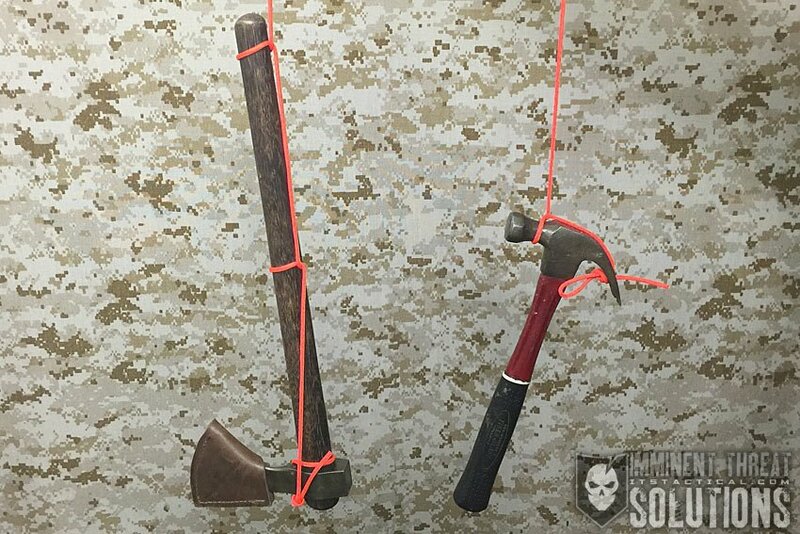 The Axe Hitch and Hammer Hitch can come in handy when you need to haul these tools, or anything similar, up to a to a position without worrying about them dropping on anyone below. Using a simple Overhand on a Bight starts each of these knots and a few simple Half Hitches round them out. For longer items, adding more Half Hitches stabilizes the tool to prevent wild flailing in the direction of the pull. As you can see from the photo above or embedded video below, when adding extra half hitches to a long-handled tool, it’s pulled in a head-down configuration, rather than what’s show with the hammer. 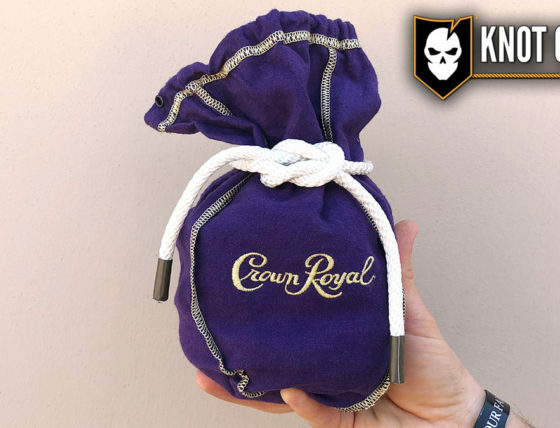 (Strength: 3/Security: 4/Stability: 5/Difficulty: 2) See below for what these ratings mean. (Strength: 3/Security: 3/Stability: 5/Difficulty: 2) See below for what these ratings mean.